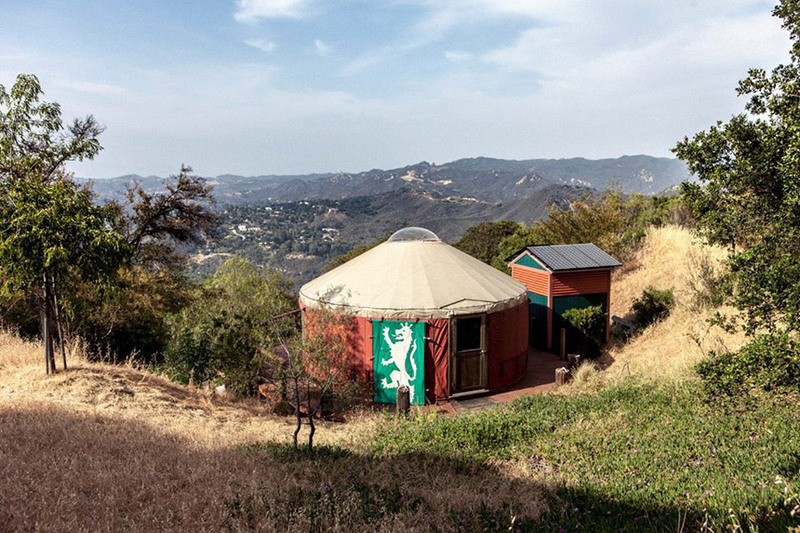 I built this yurt in the Santa Monica mountains north of Los Angeles. I am experimenting with farming, solar power and a composting toilet. 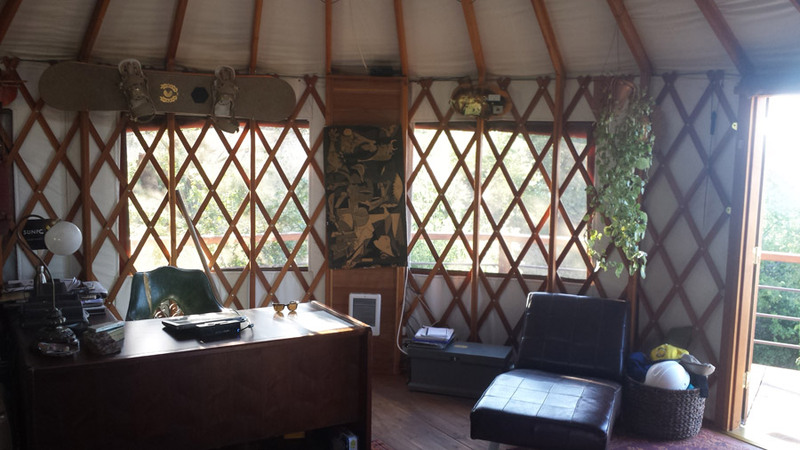 A yurt home in Santa Monica, California. Owned and shared by Ryan Pickering. 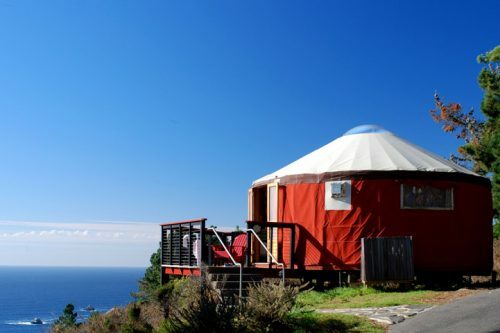 I love this yurt! How much did it all cost? How big is your property? I am still working on the house, with the intention of adding a grey water system, a solar thermal system and an earth tube air conditioner. At this point, I have tracked my costs to about 27k, with many small mistakes along the way. Very nice home Ryan. It says, “Come on in and relax.” even though there’s a desk to remind one of work. I see that you are renting the land. How did you find the property? Is it a friend’s or through an ad. I would like to rent and am curious how it came about for you. It looks great! Is it permitted? 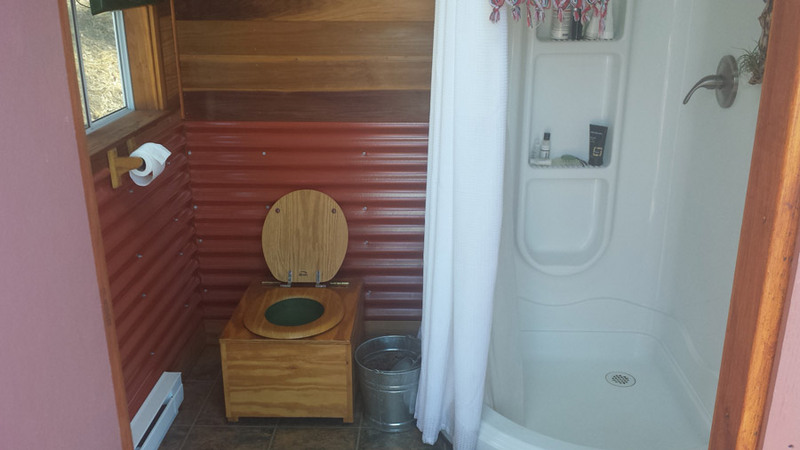 I am wondering because I like the idea of being legal with a tiny house and didn’t think anyplace in CA would allow for composting toilets or a yurt or any small not “normal” house! 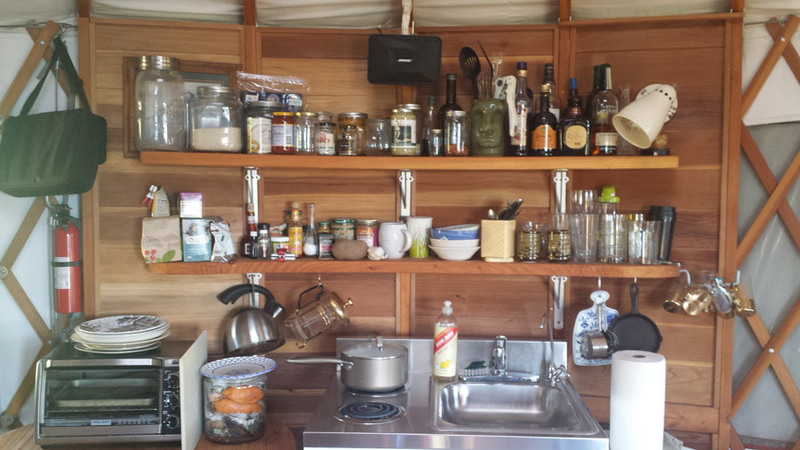 I’d love to have a tiny house in the mountains, maybe Idyllwild (I live in Hemet right now) but I’d want to be able to haul it off the property if a fire starts nearby so mine would be on wheels. Ryan, I’d love to know what kind of preparations and permits it took to be able start building your home. I am considering the same thing in the foothills above Glendale/Pasadena. I have heard that a paved road to the lot and a minimum home size is required in order to build. Timaree, I will have to be vague with this question. The foundation, plumbing and electrical is all to California code. Los Angeles County is a cost/bureaucracy preventative place to build a home and I would not recommend it for homesteading. 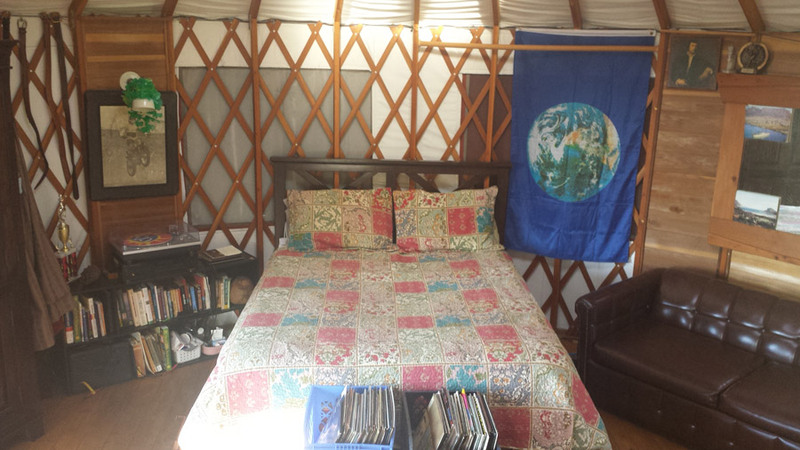 This is, without a doubt, THE best utilization of a yurt I’ve EVER seen. why your breath smell so strong? Ryan, your place is so amazing! 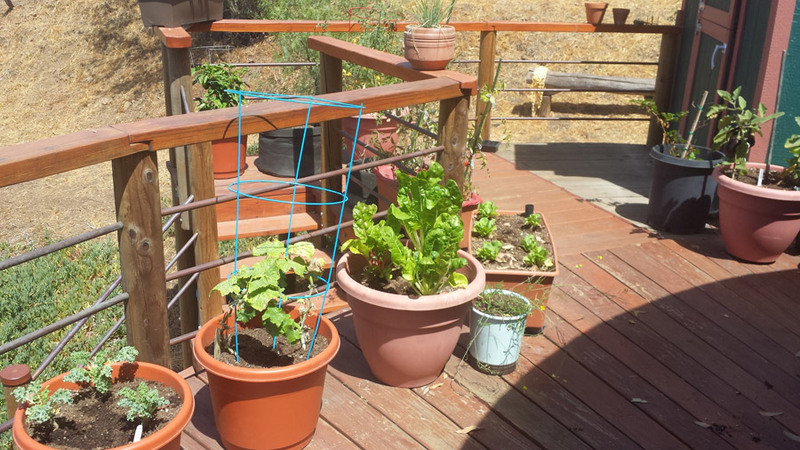 My wife and I have been very interested in this kind of self-sustainable living since checking out videos of Ben Law. Do you take any visitors? We’re in Santa Monica and would love to learn more. Just seeing this message Steve! Let me know if you are still around? 10 acres and i have never built on it. i remember the commission being very difficult. 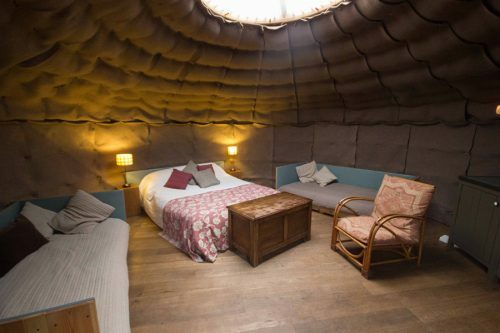 can you put up a house on wheels or yurt on those properties? Sorry i just saw this . Hi Wendy, I missed this comment a few years ago. Let me know if you still need some advice!